Have you ever been rendered speechless? I’m not one to lack for words (I am a writer after all). 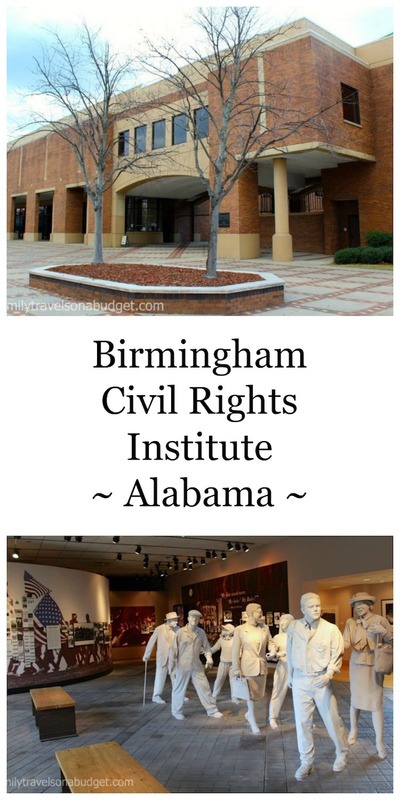 My recent visit to the Birmingham Civil Rights Institute (BCRI) did it though. I’m not sure what I expected, but truly, no word in the English language can adequately describe the impact this visit had on me. So, I’ll start with the easy stuff. What inspired the creation of the Birmingham Civil Rights Institute? How to portray this past in a healing and non-divisive manner, while portraying the harsh truth. The Institute… is both a time capsule, and a modern day think-tank focused on seeking equitable solutions to common problems… It is a place where yesterday’s struggles inspire a brighter tomorrow. It is a meeting ground for the makers of everyday history, and for those who write about the present. A visit to the Birmingham Civil Rights Institute is special. 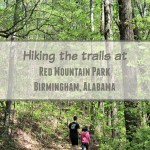 Birmingham is a planned city, founded for coal mining and steel production. Birmingham was founded in 1871, eight years after President Lincoln issued the Emancipation Proclamation. Most early residents of the city, regardless of race, lived in two-room company owned homes, shopped at the company store and lived in poverty. As time went on, the city “divided.” Blacks lived in self-contained neighborhoods offering all the services, such as law, grocery, barbers, shops, churches and clubs, that white neighborhoods had. In essence, Birmingham was two cities in one: white and black. As the movie ended, I was surprised by what came next. Other movie-goers were equally impressed. One of the kids exclaimed, “Whoa… that’s awesome!” Curious? Well, you’ll have to visit yourself to find out what! I can say that this moment let me know that I was about to experience something special. 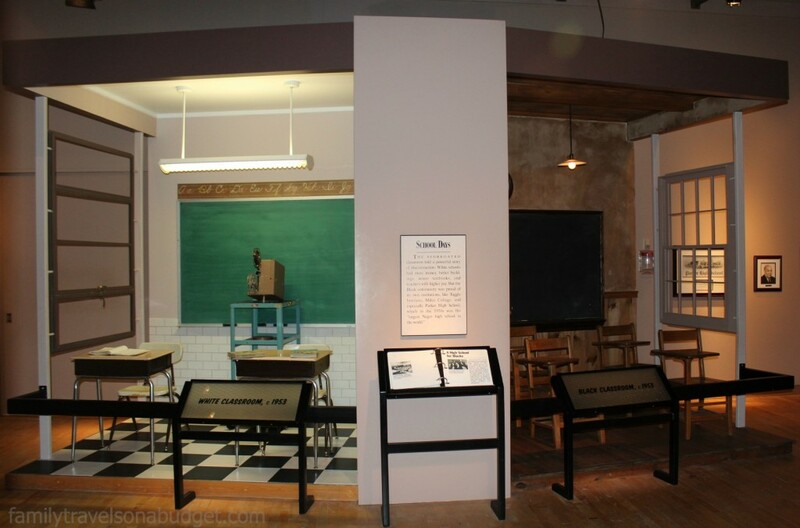 The permanent exhibits take museum guests on a historical walk through the city’s history, starting at the coal mines. The first exhibits highlight everyday life for blacks and whites in the city. Racial tension in Birmingham is clearly presented through photos, video and displays. As I stood before a KKK robe and hood, I could hardly breathe. The robe, donated anonymously, was made of silk and finely stitched. Had it been for any other purpose, it would have been a beautiful piece. I’m not sure why I thought these robes would be sloppily made of coarse fabric, like a child’s Halloween costume. To see the robe, carefully crafted for use as an instrument of fear, I… well, I still have no words. 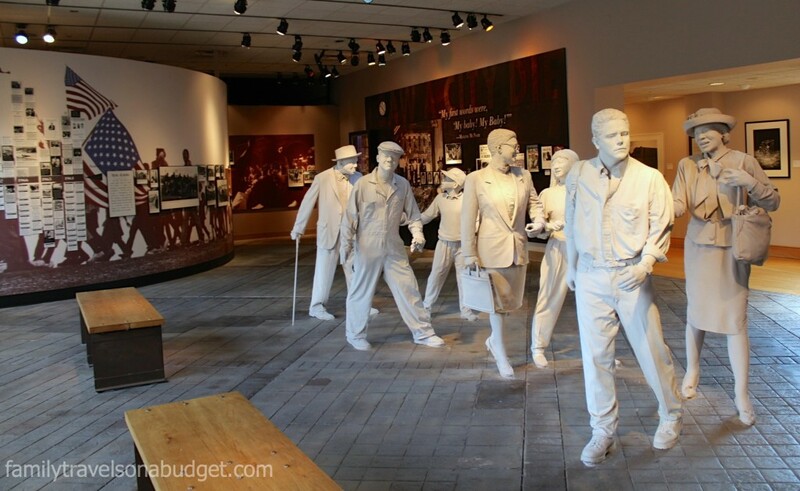 Interactive exhibits draw visitors into the emotion of the bus boycotts and Rosa Parks‘ brave stand against the Montgomery City Code requiring segregated seating on buses. The day of her arrest, Mrs. Parks boarded the bus, paid her fare, and sat in the back of the bus, just another ride home from work. As the bus filled, though, the driver moved the sign designating the “white section” of the bus further back. Eventually, Mrs. Parks refused to give up her seat and the driver had her arrested. The visual display helped me understand that Mrs. Parks didn’t plan to start a revolution. She was a quiet, hard-working lady who wanted to sit. 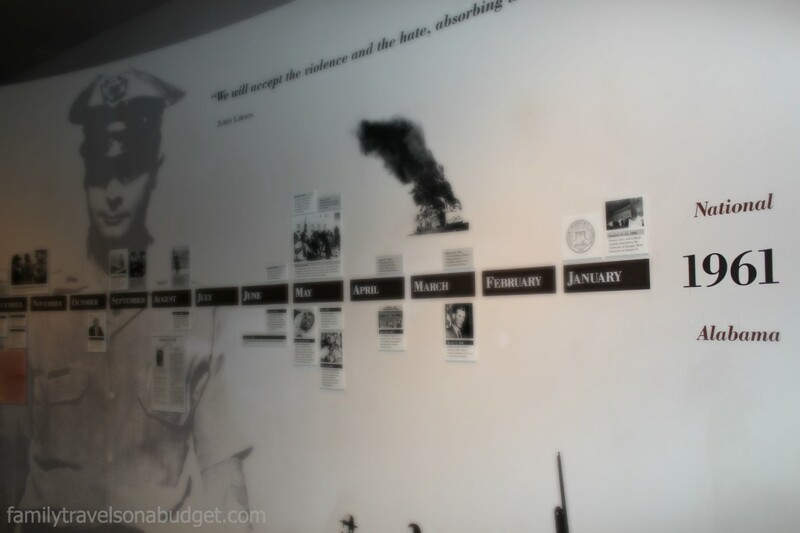 Throughout the Birmingham Civil Rights Institute, timelines put history in perspective. Each timeline covers one year highlighting key moments in both National and Alabama history. Martin Luther King figures prominently in this exhibit as well. The final exhibits at the museum focus on the tragedies of 1963, including violent attacks on children participating in the Children’s Crusade and the Sixteenth Street Baptist Church bombing that killed four young girls. Museum displays explaining these events include windows that overlook both Kelly Ingram Park, where the Crusade took place, and the Sixteenth Street Baptist Church. Reading the history and looking out on the sites themselves makes the civil rights battle more tangible than any book ever could. Foreground, statues of everyday people. Behind, a stained glass window from the Sixteenth Street Baptist Church. Front left, benches overlook Kelly Ingram Park, location of the Children’s Crusade. 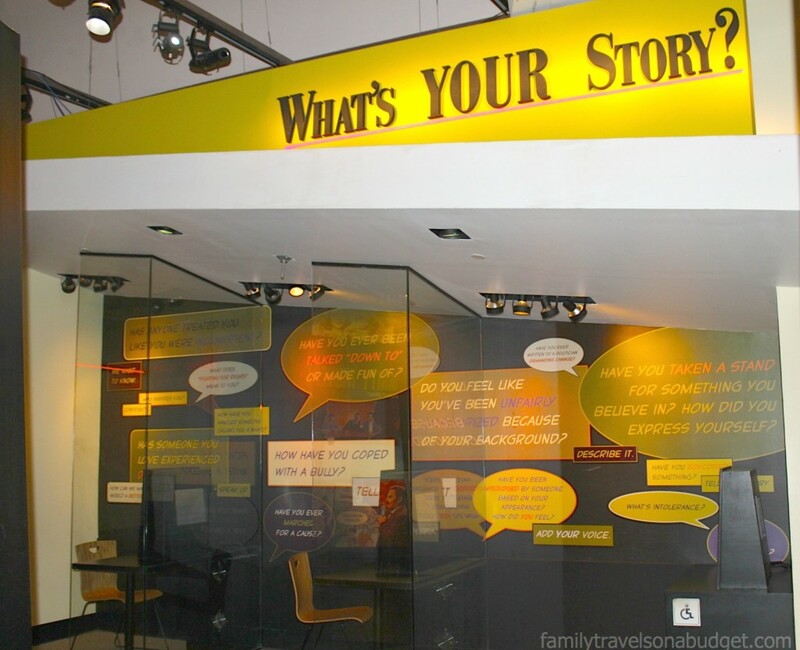 The museum’s last exhibit, “What’s Your Story?” asks tough questions we still face today: prejudice, judgment, bullying. It provides museum guests a chance to share their experiences. More, it inspires hope. We all have a story. We all share the same world. This last exhibit is our hope for the future — and helps bring all those emotions to a good place. This year, 2013, marks the 50th anniversary of the Children’s Crusade and the Sixteenth Street Baptist Church bombing. The City of Birmingham is not letting this anniversary slip by silently. Rather, the City is dedicating the entire year to honoring civil rights activists and the fight for equality. There’s no better time to visit Birmingham and see how the city has changed…. how it continues to change. I’m not the only person impressed by the Birmingham Civil Rights Institute. In 2012, BCRI received national recognition as a “must see” tourist designation. 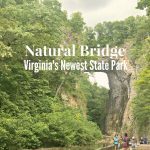 Budget Travel Magazine named it one of 15 places kids should see by age 15. Yahoo recognizes it as one of the top ten attractions for children to visit. Twice in the last four years, it’s been designated “Attraction of the Year” by the Alabama Department of Tourism. This post contains 1027 words… Yet, I can’t say I’ve done this museum justice. I’ve seen Paris from the Eiffel Tower, walked China’s Great Wall and swum in a cenote in Mexico. None of those experiences touches the depth of emotion I felt in my hours at the Birmingham Civil Rights Museum. Some exhibits, like the robe, challenged my understanding of history. Other exhibits, raw and honest, exposed me to emotions I never had to experience in my lifetime, especially since I grew up in a northern state. Please visit the museum website for information on operating hours and admission fees. Sundays are free! I’d like to thank the Birmingham CVB and the staff and volunteers at the Birmingham Civil Rights Institute for allowing me the opportunity to visit. A special thank you to the museum administration for allowing me to take photos for this post. Wow, that’s quite an endorsement. I’m curious to see the museum especially since I experienced, from afar, some of the events that it portrays. It really is special when a place touches you like this. Great post! This sounds like a very moving museum. Like you, I would have expected that the KKK robe would be coarsely made, not finely crafted. My friend in Texas just posted that she and her family went to get BBQ at a small town cafe. After they sat down, a man came up and told her white family that the cafe was segregated and that they were on the “wrong” side. Further digging after they returned home revealed that while it’s not an official rule, it’s a custom that everyone there follows. I absolutely cannot believe that such places still exist in America. Thanks for sharing your visit. It is rare that a place touches so much. Your words are very impactful! I enjoy visiting museums that bring history alive so you can feel it. This is a museum I’d love to experience and is a reason to visit Birmingham. What an incredible experience. I imagine it was quite a powerful time. I don’t know if I will get there any time soon, but I do hope so. Thank you for sharing your visit with us. I truly appreciate it. It’s so important for the youth of today to be exposed to this kind of thing early. Coming from South Africa where racism used to run deep, I feel it’s even more important to teach kids the message of kindness, love and equality. I like that this was voted one of the top kids attractions by yahoo! Very interesting about the two bedroom homes that were company owned. Boy how things change. I recently had that same staggering feeling visiting the Eagle’s Nest(Hitler’s Headquarters). Talk about feeling like you were right there in those bunkers with the Nazis. That is a must if you ever get the chance, and can write about it. I am always amazed when a museum completely takes my breath away…recently this happened to me at the Museum of Tolerance in LA, and the Holocaust Museum in DC. Thanks for adding another ‘must-visit’ to my list! I’ve been to the Holocaust Museum. This one got to me even more — wouldn’t have thought that possible. Sounds like a great place to visit. I hadn’t ever heard of it before, but having seen your post, now I’d like to visit it. Thanks, Gina. I’m honored to have the chance to share about it. What a great opportunity to learn more about American history. It’s amazing how one small act can have an immense ripple effect. Wow. Just wow. I have never seen anything like that! Our dear friend is a history teacher and each year, on their drive home to Toronto from Fla she stops in to show her children a piece of history in one state or another. She must see this!!! Thanks for sharing this with your friend. I think everyone in North America should visit!